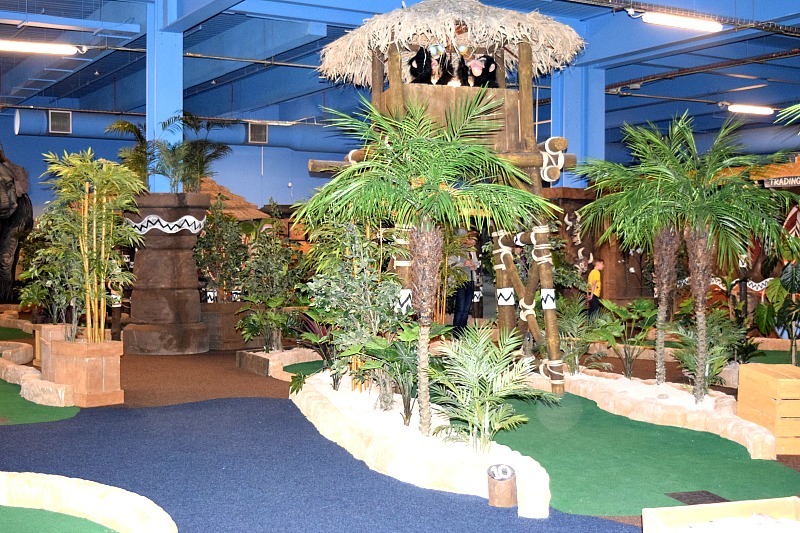 There are two 18 hole indoor courses to choose from set amidst a tropical paradise. With tiki huts, mystical stone carvings, exotic animals and even a mermaid, each hole has different settings and some are much more difficult than others. The décor was so good and I felt that it was well planned out to give you a bit of privacy and not feel like everyone is crowded. I did actually really enjoy playing despite it being really frustrating on the ones where I did so bad! 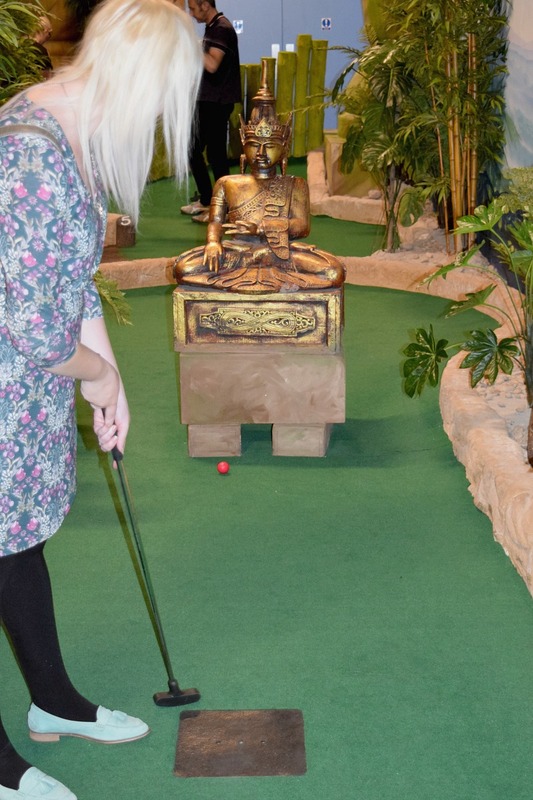 We had a go at both courses and I managed to lose both rounds! I am such a bad loser too! 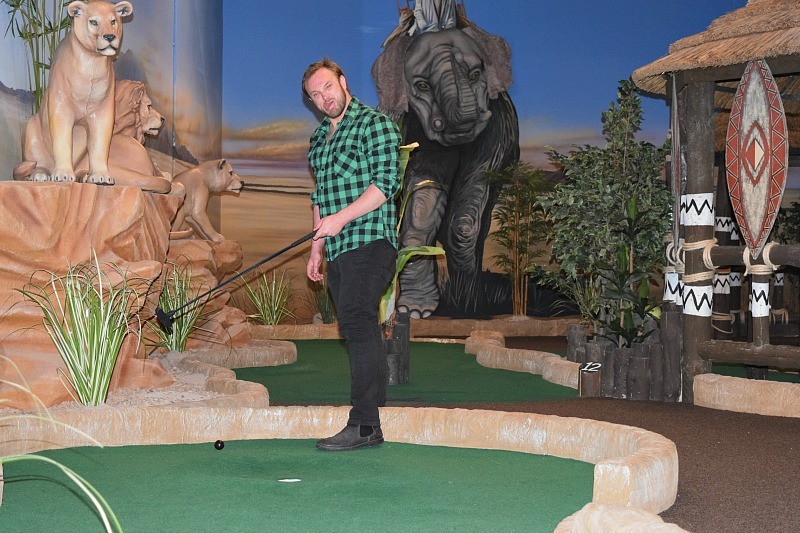 It makes a great day out for any occasion, whether it be a family day out, birthday celebration, a date or to just kill time with friends. 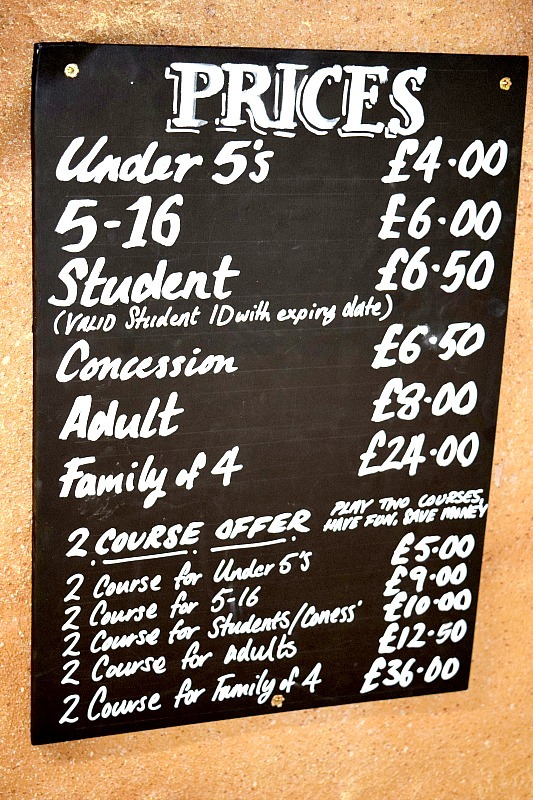 The price is great value with offers available for families and students as well as a reduction when you pay for two courses. It is open until late every day too so if you want to avoid families with small children, it is open until 10pm/11pm each day. Best of all, it can be teamed with a nice meal or some shopping before or after. We opted for some amazing desserts at Heavenly Desserts to finish off the afternoon. 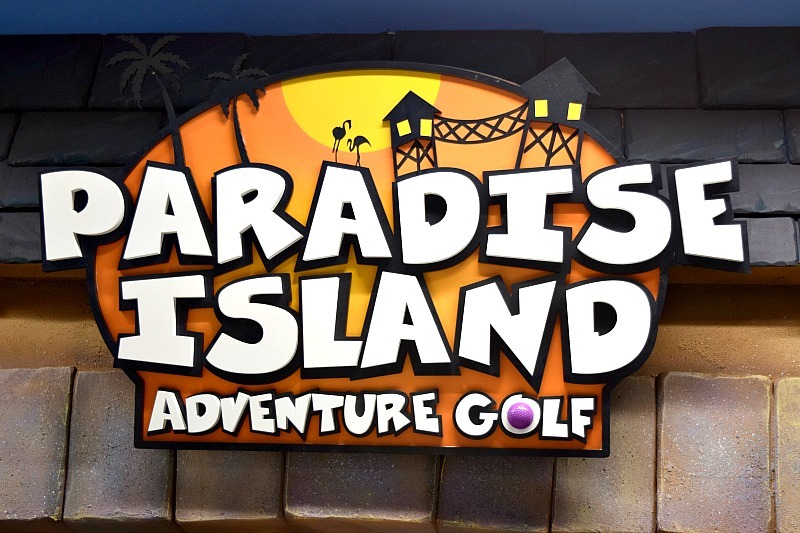 You can find out more about Paradise Island Adventure Golf on the Intu Derby website here.